Born on 18th of July 1998, Ishan Kishan a young sensation who marshalled the Indian Under 19 team to the final of the ICC U19 Cricket World Cup in 2016. Hailing from the same city as Mahendra Singh Dhoni, Ishan will have big shoes to fill both in respect of his batting and keeping standards. Growing up on the mean streets of Bihar, Ishan still keeps his cool, something he claims to have learnt from U19 coach Rahul Dravid. Given his intent and clean work behind the stumps accompanied by wonderful strokes, he was earmarked to play for India. Kishan made his first-class debut in December 2014 for Jharkhand. His IPL debut came right after the U19 World Cup in 2016, playing for Gujarat Lions. He first caught the selectors' eye when featuring in his debut Ranji season, scoring a hundred and 5 fifties in 2014. 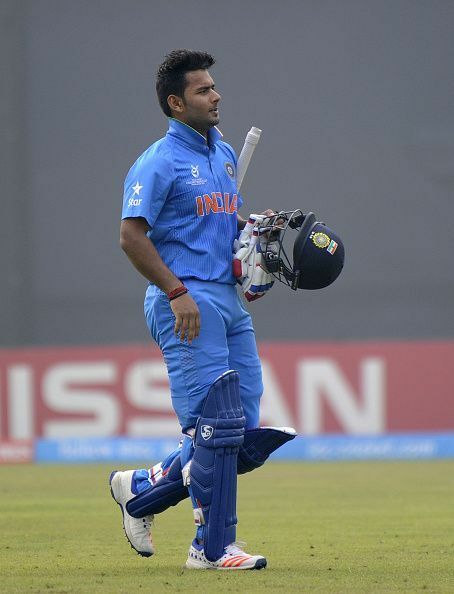 He showcased few good runs along with Rishabh Pant opening for India in the U19 world cup 2016. However, his batting abilities were highly suspected playing the moving ball on green tops. With a few lows under his belt, Ishan does have the age to recover. His average in list-A and T20 domestic matches declined. He played for Gujarat in his debut IPL appearance in 2016. He was purchased by the Mumbai Indians for 2018 edition. He plays first-class cricket for Jharkhand. Imbibing the calmness from Rahul Dravid, Kishan was highly praised for his intent during captaincy of India under-19. IPL 2019: Has Ishan Kishan done enough to justify replacing Yuvraj Singh in the MI lineup? Kieron Pollard: The faded star?